Throughout the month of April, we have three special offers to tempt both book and music lovers. Buy two books, and choose a third book in the range (of equal or lesser value) for free! The range includes titles such as Atonement, Nutshell, The Children Act, and more. This offer is exclusively available in all Readings shops except Readings Kids until 30 April on stickered, in-stock items only, while stocks last. This offer is not available online. 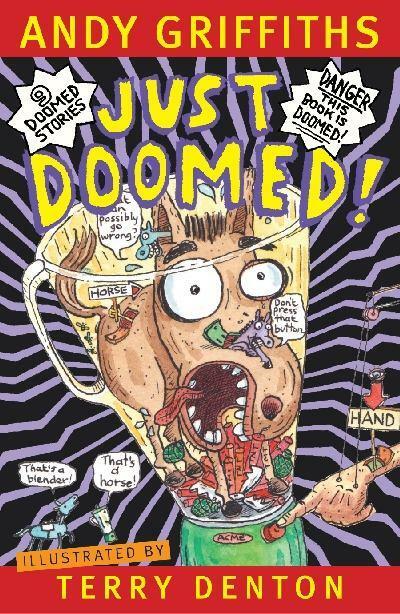 This month, we have a special offer on Andy Griffiths and Terry Denton’s hilarious Just series. Each book in the series will be available for the special price of $5.99 (was $12.99). We also have all eight books available as a pack, for the price of $42.99 (was $103.92). This offer is exclusively available in all Readings shops except Readings Carlton until 30 April on in-stock items only, while stocks last. This offer is also available online. Come in and chat with our music staff and complete your own collection. The offer excludes all Record Store Day releases and only applies to vinyl currently in stock. The offer is not available online. Click here for more information.